Real Madrid star Ronaldo, speaking at a naming ceremony also attended by his family, added: “I didn’t ask for this but I’m not a hypocrite and I acknowledge that it honours me, and that makes me happy.” Also presented was a grinning bust of one of the greatest footballers of all time. But aside from the hair, which looked suitably similar, social media users were quick to mock the statue as nothing like him and even horrifying. 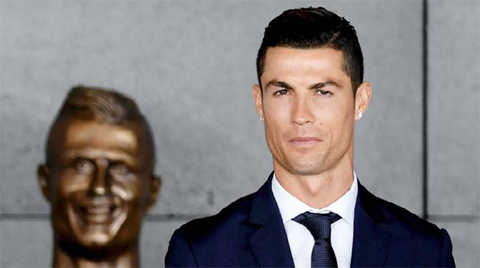 “Seriously, I look more like Cristiano Ronaldo than that bust,” said the Twitter user DiscoHobbit.